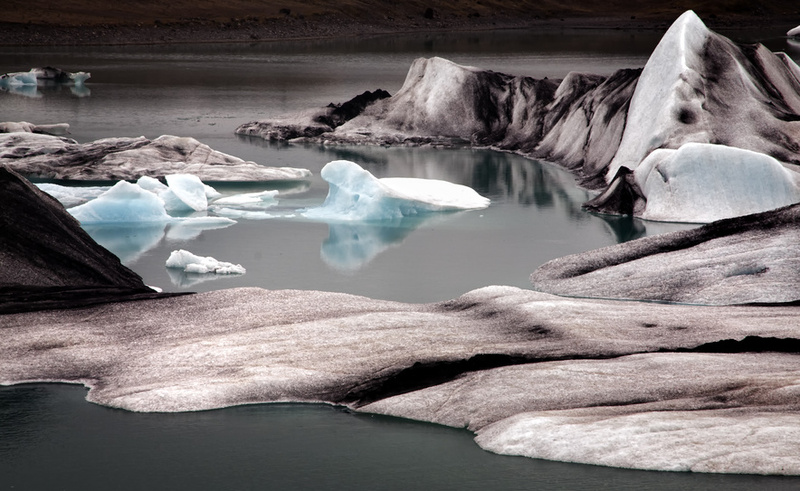 At 8,100 square kilometers and with an average thickness of 400 meters (which comes to 1000 meters in the most thick), the Icelandic Vatnajökull is the largest glacier in Europe and the fourth largest ice cap in the world. This inaccessible but quite charming place is located in the south-east of Iceland and hides a little treasure under his ice mass: several active volcanoes including the Grimsvötn, whose last major eruptions date back to 1998. Moreover, its big surface area gives this place a unique record: according to Guiness World Records Vatnajökull is the object of the world’s longest sight line. In fact, in favorable weather conditions it can be seen from 550 kilometers away! What stands out the Vatnajökull is the highest peak (Hvannadalshnjúkur) that rises 2119 meters above sea level. If you’re planning to head to this particular area of the world, you will be able to create beautiful photographs by following some little advice. Use a polarizing filter to reduce glare and reflections. Don’t forget to wear technical protective clothing, hiking boots or thermal winter boots. Finally, the backpack is perfect for carrying your camera equipment. B-grip BH + B-grip TK will leave you free hands keeping your camera always ready to use. "STROMBOLI, The Captivating Charm of the Eolinan Volcano"